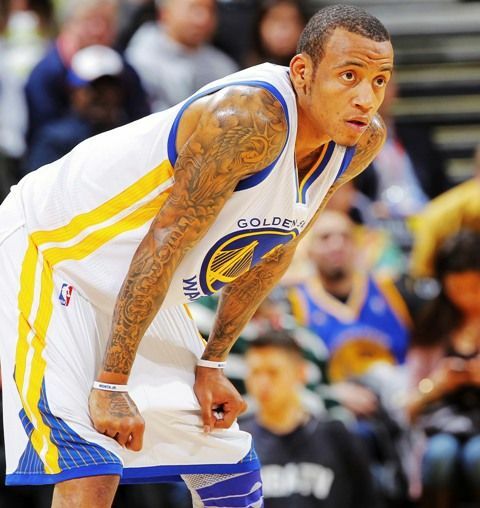 The handsome and hardworking, Monta Ellis earned great fame and with his successful basketball career. Ellis is married to his beautiful girlfriend, Juanika Ellis. They have two children: son, Monta Ellis Jr., and daughter Myla Jai Ellis. Ellis is a tattoo freak. His body is inked with a number of tattoos carrying different meanings with them. The tattoos also reflect Ellis’s love for his family and his profession, i.e., basketball. 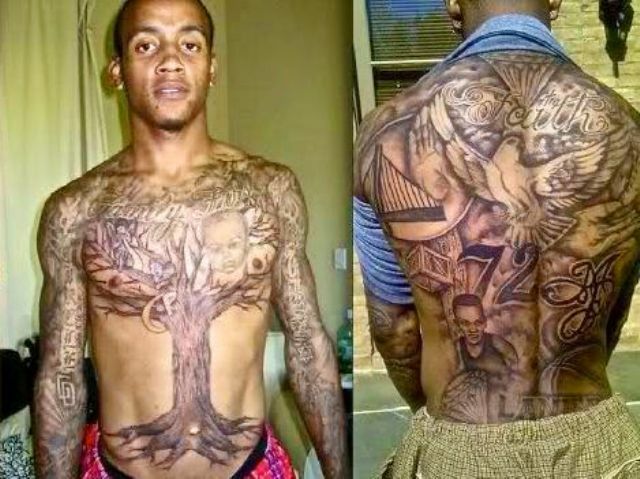 There is a tattoo of a huge tree gracing the chest of Monta Ellis. A message of “Family First” is inscribed on the leaves across the top of his chest which makes it pretty evident that this is an homage to Monta’s family tree. This tattoo has everything: roots, bark, branches, and leaves. It’s decorated like a Christmas tree with ornaments like a baby’s face, Chinese calligraphy, an angel, and the star of David. On Ellis’s right arm, there is a tattoo of flames, a devil playing flute and a large “BOYZ” in old English text is inked. 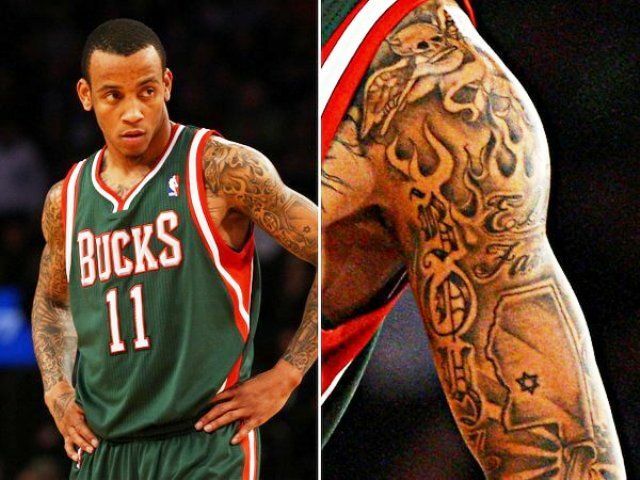 Monta Ellis has letters “GEORGETOWN” inscribed on his right arm in capitals. On his back, Ellis has the Golden State Warriors logo, a dove, the number 72, diamond, his initials, a box, and a palm all under the word “Faith” in cursive. This body ink is to honor the Golden State Warriors, the team he played his first six NBA seasons with.